More Details in Onalaska Pawn Shop Robbery, ONALASKA, December 21, 2013 - Around 11 am on December 20, 2013, four young men walked into the Onalaska Pawn Shop located at 14487 US-190. The men robbed the shop (the shop was being run by its owner, 70 year old Richard Baker of Onalaska). For an unknown reason, one of the men shot Baker in the abdomen twice with what is believed to be a .22 caliber gun. As the four men fled, Baker was able to get to his gun and managed to return fire striking one of the his assailants two times (once in the shoulder, and once in the buttocks). The suspects jumped into a car and drove west on 190, over the big bridge into San Jacinto County. As they entered Walker County, several law enforcement units began to follow their vehicle. The suspect vehicle turned onto FM-405 and then onto Hank Benge road. Hank Benge Road dead ended and as the suspects ran out of road, they crashed their getaway vehicle. 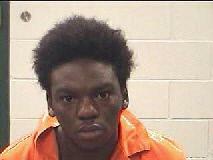 Deputies from Walker County immediately took the suspect who was shot into custody (Kenneth Freeman, 23, of Huntsville). 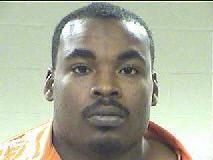 Freeman was taken to Huntsville Memorial Hospital to be treated for his gunshot wounds. The other three suspects fled into the woods. Approximately 30 minutes later, a deputy spotted another suspect, Briscon Davison, 24, of Huntsville, and took him into custody. In the meantime, a helicopter from the Texas Department of Public Safety was dispatched to help locate the other two suspects. The helicopter crew spotted Tydrus Mills, 18, of Huntsville, and he was taken into custody. As the search continued, blood hounds were brought in from the Texas Department of Criminal Justice and, with the help of the blood hounds, the fourth suspect, Dev'von Nickerson, 18, of Huntsville, was located and taken into custody. At time of press, suspect Kenneth Freeman has been released from the hospital and all four suspects have been taken to the Polk County Sheriff's Office and are being held without bond. Freeman was shot once in the shoulder and once in the buttocks by Pawn Shop owner, Richard Baker. 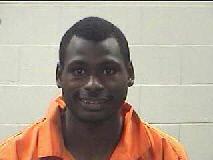 Freeman was the first suspect that was caught after the suspect vehicle crashed off FM-405 in Walker County. 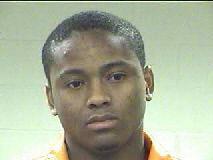 Freeman was charged with aggravated robbery. Davis was the second suspect that was caught (approximately 30 minutes after Freeman was caught). Davis has been charged with aggravated robbery. Mills was the third suspect caught (with the help of a DPS helicopter) and has been charged with aggravated robbery and a parole violation. Nickerson was the fourth suspect caught with the help from the Texas Department of Corrections' Blood Hounds. He's been charged with aggravated robbery. Bullet holes pierced the window at Onalaska Pawn Shop when, after being shot in the abdomen twice, owner Richard Baker returned fire striking one of his assailants. Local Business Owner Shot Twice in Apparent Armed Robbery, ONALASKA, December 20, 2013 - Shortly after 11 am on December 20, 2013, four black males walked into an Onalaska Pawn Shop and robbed the longtime establishment. For no apparent reason, they shot the owner, Richard Baker (reportedly in his 70s) of Onalaska two times in the abdomen. As Baker's assailants fled the scene he was able to get to his gun and returned fire allegedly hitting one of the gunmen in the right shoulder. The four men jumped into a white car and fled west on US-190 into San Jacinto County. Police pursued the alleged robbers as the chase continued into Walker County. The men turned onto a dead-end road when the saw they were about to get their tires spiked. The men crashed the car. Two of the men were caught at the crash scene, and two fled into the woods. A perimeter was established and a helicopter from the Texas Department of Public Safety was brought in. The other two alleged robbers were caught a short time later. One was possibly caught when law enforcement were able to track his location by his cell phone. Pawn Shop owner Richard Baker was reportedly in good spirits and was seen standing and talking shortly before being taken to a landing zone where he was loaded onto a medical helicopter and flown to Hermann Hospital in Houston. Baker has been an Onalaska resident for over 30 years and is a long time supporter of the Onalaska Volunteer Fire Department, the Onalaska Police Department and a general supporter of the community of Onalaska. According to unofficial sources, the last robber that was caught had the name of Devin Nickerson. As details of this story emerge we will post them on this website. Judge David Johson (foreground) and Captain John Maddox and Detective Lee Parrish look for clues at the Onalaska Pawn Shop located at 14487 US-190 in Onalaska. District Attorney Investigator, Glen Goodwin was dispatched to assist in the investigation. Onalaska Mayor, Roy Newport ponders a crime of greed, cowardice, and ultimate selfishness.